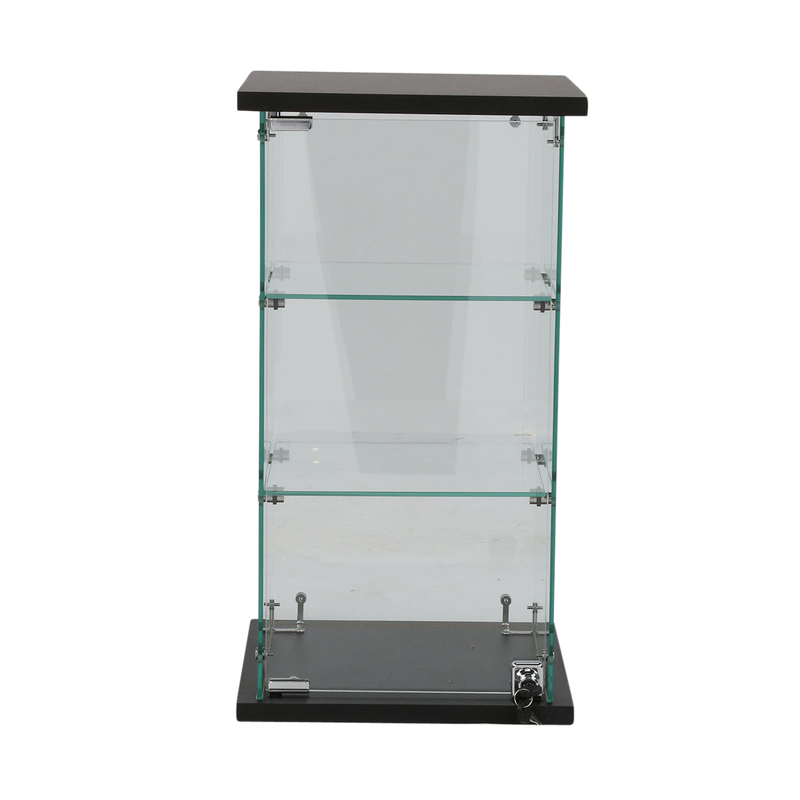 Great Glass Countertop Display protects and displays your valuable items! Glass Countertop Display allow products to be viewed from all sides with clear visibility. The door closes with a magnetic clasp and integrated lock to secure your merchandise. This attractive Glass Countertop Display also includes 2 fixed glass shelves with 8 in. between shelves. For convenience, the door can face the employee or the customer. Item requires assembly or we can do it for you, see assembled item #A20092. For many more products, we encourage you to take a moment to view our entire selection of Countertop Showcases at Specialty Store Services now.